This 168 ac +/- farm really does fulfill the investor's dream of investment property with superior hunting. Just 8 miles north of Hwy 36 in Laclede, MO and only 3/4 mile on gravel gives you easy access to this dream farm. 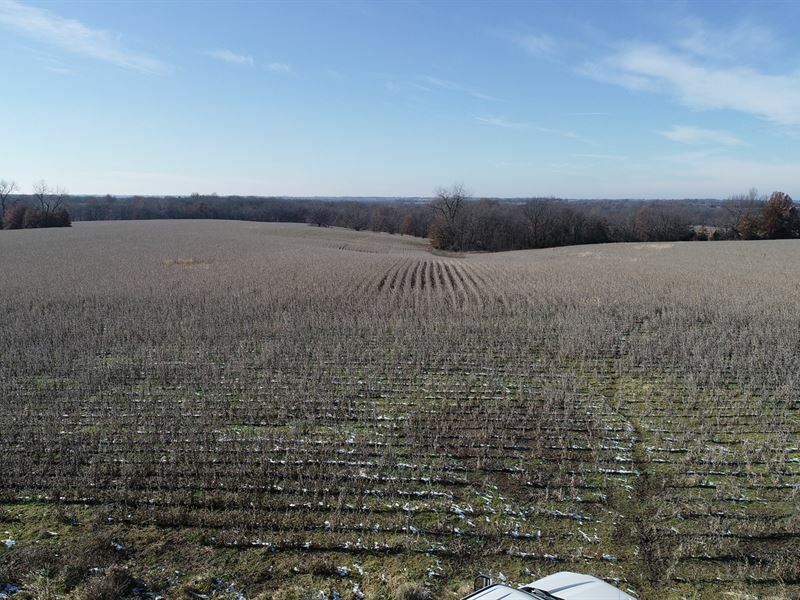 Of 168 ac +/-, 120 acres are tilled and cash rented at with 2 years remaining on the contract. In addition, there is a hunting lease that you can continue if desired. This farm is covered up in deer and turkey signs. As I walked the farm, it was apparent with the 8 different rubs I saw and turkey scratchings in multiple areas that the odds are in your favor of filling your spring turkey tag or your whitetail buck tag. There are 2 ponds supporting a water source during the summer dry spells along with a creek used as a deer corridor. The timber stands tall and does have a small cedar thicket to give the deer a bedding area and somewhere to rest after a long season of being hunted. Make sure to follow this auction. Farms that help pay for themselves are hard to find in this competitive market. Call with any questions. at or the Office at.